After seeing so many LONG Fishbone shows we thought the band was taking an intermission when they left the stage. At one point Angelo climbed the PA stack, jumped into the balcony, ran across the theater and jumped back from the other side. 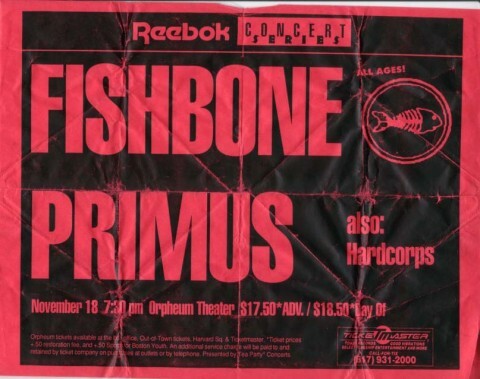 This was the first Fishbone show I went to. It absolutely blew my mind. 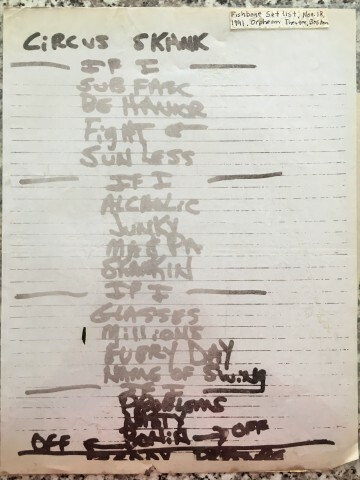 I got the sound guy to give me his set list. I'll try to drag it out so I can post it here. Fishbone is not scheduled to play Orpheum Theater anytime soon.